On January 2, 2019, Charlotte Potter will take over as executive director at Yestermorrow Design/Build School in Waitsfield. 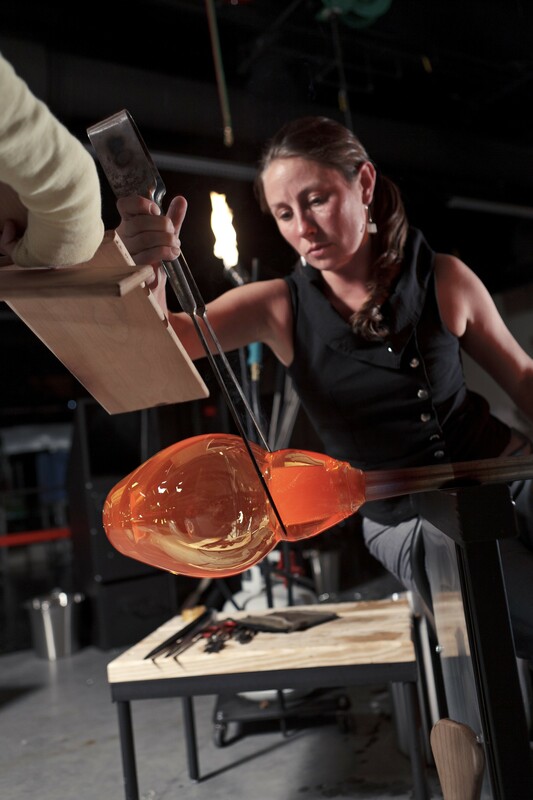 It's a homecoming for the Mad River Valley native, who for the past six years worked as the glass studio manager and program director at the Chrysler Museum of Art in Norfolk, Va. She succeeds former Yestermorrow ED Claire Gear, who is now the executive director of the Shelburne Craft School. "One of the most fascinating things about Yestermorrow is that it's a marriage of theory and craft," said Potter. "It's both trying to be wild and experimental, but trying to actually create something." That process is akin to how she approaches her own artistic works. It's also a process she grew up witnessing firsthand. Her parents, Sparky and Peggy Potter, are the owners of Wood & Wood Sign Systems, a sign-making and design business in Waitsfield. Peggy is also renowned for her artisan wooden bowls. Charlotte's sister is rock singer Grace Potter; her brother Lee writes poetry. 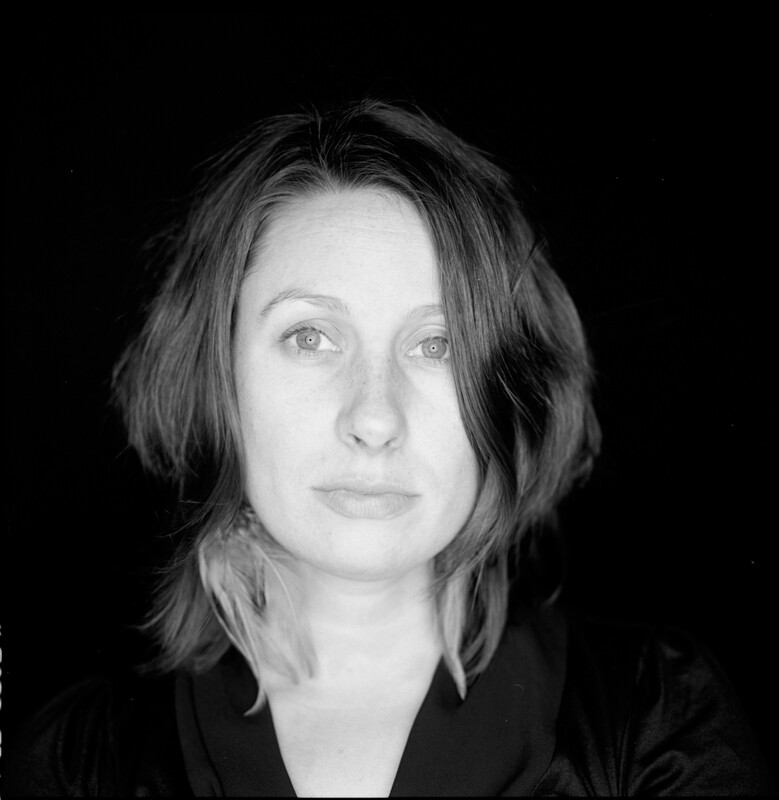 Charlotte Potter recently had her second child, a son. "This is not the time I thought I'd be taking an executive director position," she said. "But I'd always been fascinated with Yestermorrow, so I had to put my hat in the ring." Seven Days recently spoke with Potter about the challenges she'll face at Yestermorrow, how her background in visual arts might be an asset at the school, and how she plans to continue her own practices. SEVEN DAYS: What are some of the specific challenges you see for Yestermorrow going forward? CHARLOTTE POTTER: I want to reinvigorate our development and get people engaged again around Vermont. I think some people don't realize that this place is open to the public. Anybody can come and the classes aren't just for experts. Anyone who has an idea and a vision can come take a course here and get real, hands-on experience. So it's demystifying that and letting people know that this isn't just for elite architects; it's for the DIYers as well. SD: How do you think your background in visual arts will be beneficial in a setting like Yestermorrow? CP: My predecessors all had backgrounds in architecture, specifically. So coming from a visual arts background is a different approach. I will say, though, that I also come from a strong craft background. So when I look at the conceptual underpinnings of the school itself — getting your hands dirty, helping people to recognize that this is something that anybody can do, and closing the gap between the designer and the maker — I recognized that this is exactly what you do as a visual artist. You come up with these wild ideas and it's very important to experiment to get to them. But then, ultimately, have to put your head down and figure out how you're gonna fabricate them. SD: So there's at least some philosophical overlap, then? CP: It's interesting trying to marry those processes, the dreamer and the maker. That's something I've struggled with in my own practice and it's a challenge to teach that ethos, because people feel they can only wear one hat or the other and embody both. So I like that there is some crossover there. SD: Between the new gig and being a mom, how much time will you have for your own artwork? CP: [Laughs] Well, being a new mother of two — we have two under 2 and I don't know who planned that, because whoa — and starting the ED position, it's a lot. But I have a residency in the spring at the Toledo Museum of Art. And I have a solo exhibition at the Shelburne Museum in a couple of years. So, I have a few things looming out there that will help get me in the studio and making. That's one of the beautiful things about working for an educational facility: They allow time for your own professional development. But I also understand that I'll have to scale back some of my ambitions for some of the larger projects. SD: Will you keep your design line going? CP: I'm making new designs for jewelry right now, actually. That's easy and accessible and something you can do with a baby strapped to you — rather than glass blowing, which is not a good idea. So I imagine the design line will get more attention than the conceptual studio practice for a little while. I'm elastic with my view of myself as an artist. It's trying to think about the ways that people connect with one another, which is what most of my installation work is about. So, if I'm really generous with myself, I can say that's what I'm going to be doing in my new role, and I can bring my artistic sensibilities into that administrative practice. Correction, December 19, 2018: This post has been updated to reflect that Charlotte Potter recently had a son.